Raised in the circus, Caitlin has been performing professionally since she was 2 years old. Caitlin, along with her family has traveled with several circuses throughout the United States and Canada. 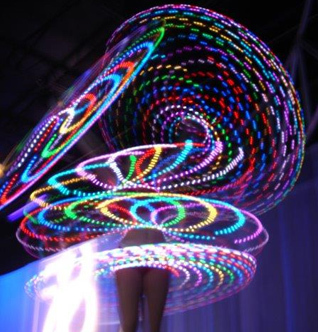 Caitlin learned the art of Hula- Hoops at the age of 7 from a Vietnamese Hula-Hoop artist while on tour with the Ringling Brothers and Barnum and Bailey Circus. At the age of 7 she performed her Hula-Hoop Act in the pre-show with the Ringling Brothers and Barnum and Bailey Circus. Caitlin's act is a high energy, high impact circus style act! 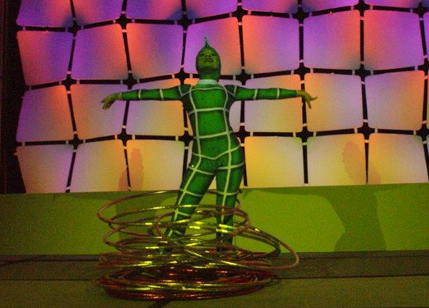 It combines dance acrobatics along with hula- hoops to create a show stopping performance. Caitlin has enchanted audiences with her captivating performances locally, nationally and internationally.